Translated to Chinese by Teresa Lee. Owing to its vibrant nightlife, Little Tokyo—centered on Taipei’s notorious Linsen North Road, a popular destination for Japanese businessmen frequenting the city—is packed with restaurants that are open much later than those in other areas of the city. These eateries offer a range of traditional Japanese, Western and Taiwanese fare that appeal to not just the Japanese tourists, habitual visitors of this area, but also the local population, who willingly queue up in winding lines for some of the most popular dinner and xiaoye (supper) options in the capital. A visit to this age-old restaurant would not be complete without its sesame oil chicken, with a soup broth so rich with rice wine and sesame oil that customers willingly queue up for it in the coldest of winter nights. The chicken is mostly leg meat mixed in with a few pieces of chicken breast and perfectly cooked, like A-Tu’s oyster thin noodles, getting the al dente treatment. 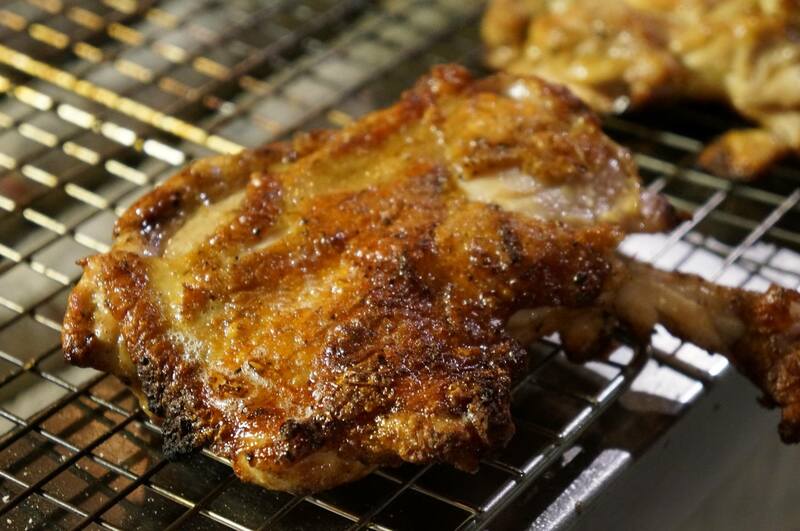 With its fast service and rich, hot sesame oil chicken, A-Tu will warm your heart on any night. Lines for Fe Qian Wu are often ridiculously long and for good reason. As one of the best affordable-priced Japanese restaurants in the city, Fe Qian Wu serves up a delicious eel bowl, known in Japanese as unadon. 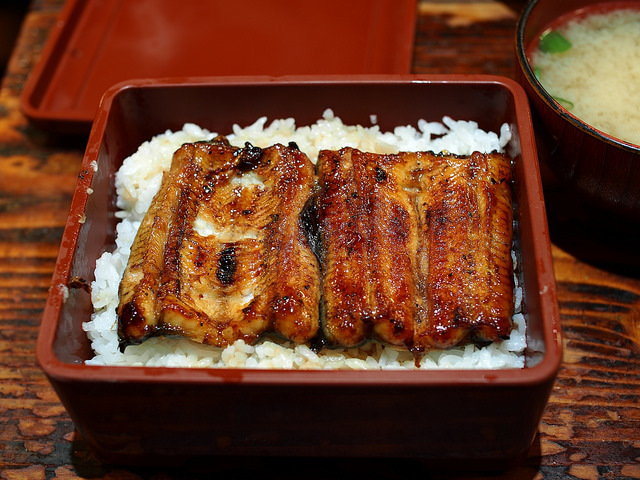 The juicy and tender eel, completely free of bones, is grilled over coal, soaking up a special sweet sauce coating, and lain over a bed of rice in a bento box. Whereupon opening the lid, one is enveloped by the appetizing aroma. A variety of other Japanese dishes, including some legendary eel dishes, are all available at extremely affordable prices (and more than generous servings). Melange Cafe, whose clean and simple decor is a blend of Japanese and European styles–is considered one of the best afternoon tea spots in the city. 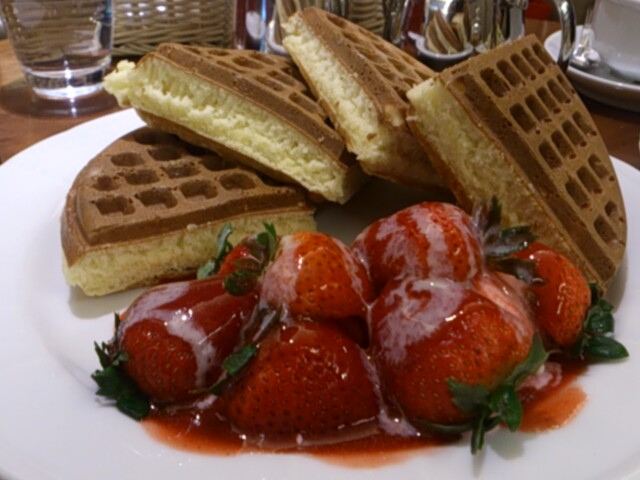 The cafe’s trademark strawberry and butter waffles are sturdy and filling to say the least, with a crunchy exterior and dense yet fluffy interior. The slightly sour taste of the strawberries perfectly offsets the ice cream, whipped cream and condensed milk dolloped atop the dessert. An afternoon here with a cup of Melange’s trademark ice drip coffee is quite perfect indeed. Rumor has it that Gaojiazhuang is a favorite amongst bar hostesses in the area when they get off work in the wee hours of the morning. Its silver needle noodles from which the restaurant gets its name are chewy to bite, yet smooth enough to glide down one’s esophagus along with the lightly-flavored soup it is cooked in. 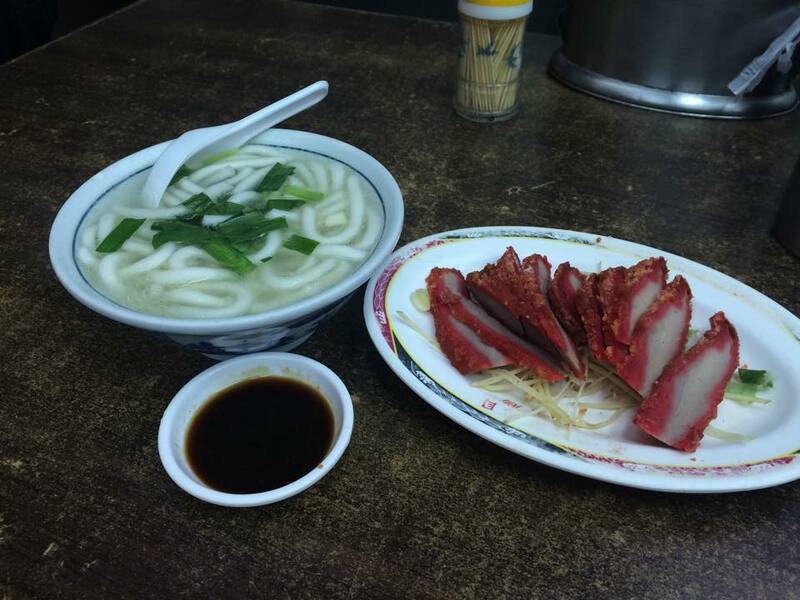 When in doubt about what to order, refer to a sign on the wall that lists out the store’s decades-old bestsellers include hongshao pork and large intestines, fish egg salad, squid with mustard and powdered pork liver. We have good news for those wishing for a trip to Middle Earth, you don’t have to travel to New Zealand to do so. 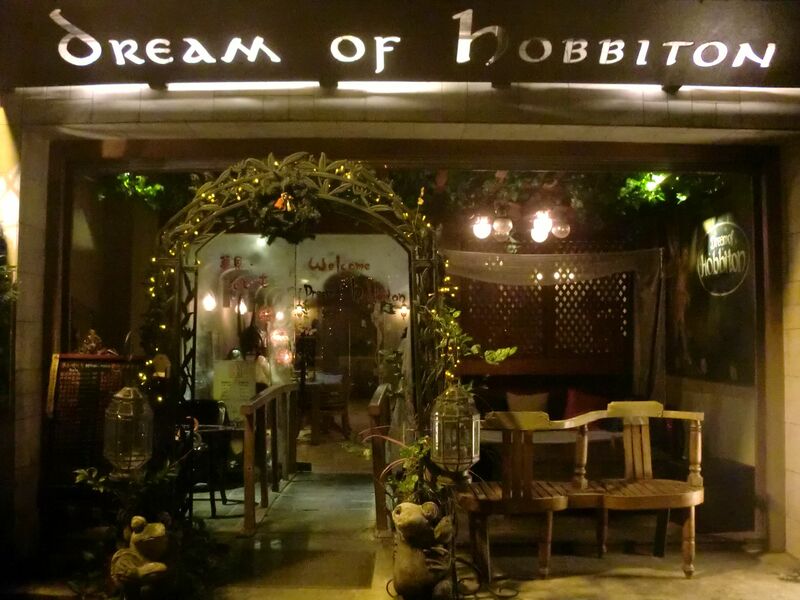 Located in the heart of Taipei is Dream of Hobbiton, a Lord of the Rings-themed restaurant that offers a mini-escape to areas like Bag End, Moria and Gondor. Each of the five stories in the building are styled to a different area in Middle Earth, complete with cobblestone floors, but the highlight is without a doubt, the prop shelf at the entrance of the shop, where visitors are free to snap photos of them wielding Gandalf’s staff or donning Sauron’s mask to their heart’s content. The place serves your usual western fare. With a Japanese chef at the helm, Jiji Robatayaki is a classy izakaya with a distinctly Japanese vibe. The cuisine fuses Japanese and Taiwanese flavors and is delivered to those sitting at the bar on a wooden peel, an oar-shaped tool similar to the one used by bakers to slide pizzas into and out of the oven. The place’s trademark is its tebasaki, or chicken wings, that are cooked robatayaki–slow-grilled over hot charcoal, but all its yakitori dishes go perfectly with beer. We recommend sitting at the bar to chat with the chefs, whose good looks many have commented on, and watch them work their magic. 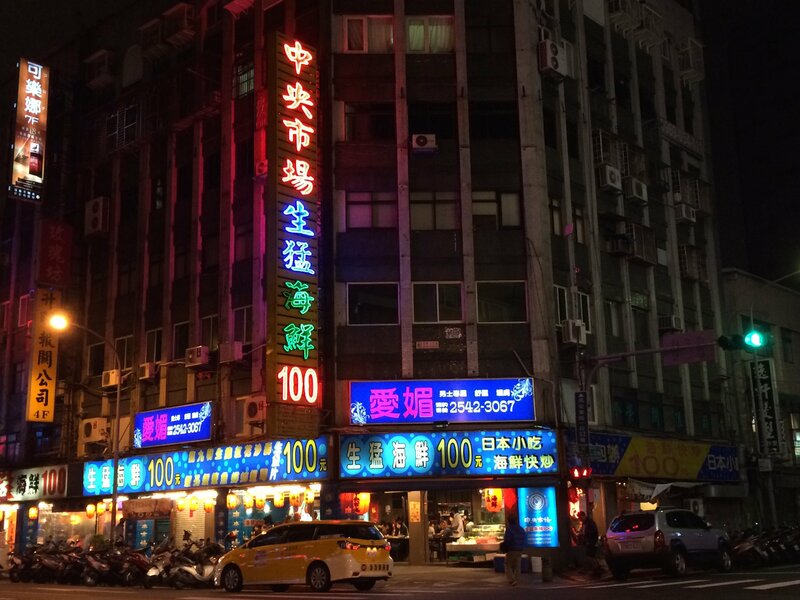 With countless rechao (or stir-fry) restaurants located at close proximity to each other, Taipei’s Chang’an East Road has earned itself the name “Rechao Lane”. 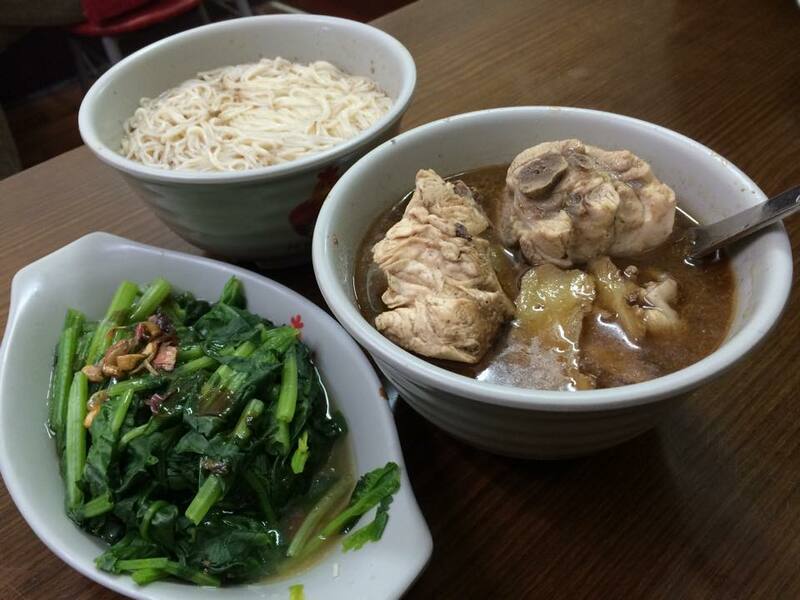 Among the restaurants is Central Market Fresh Seafood, located at the corner of Chang’an East Road and Linsen Road. The seafood is fresh, the fried rice is fantastic, the beverage variety plenty, and almost every dish–and there are a lot to choose from–here is NT$100, including sashimi, a bargain particularly when one is dining with a group. What’s more, the service is efficient, and there are several parking lots nearby. What more could you ask for?